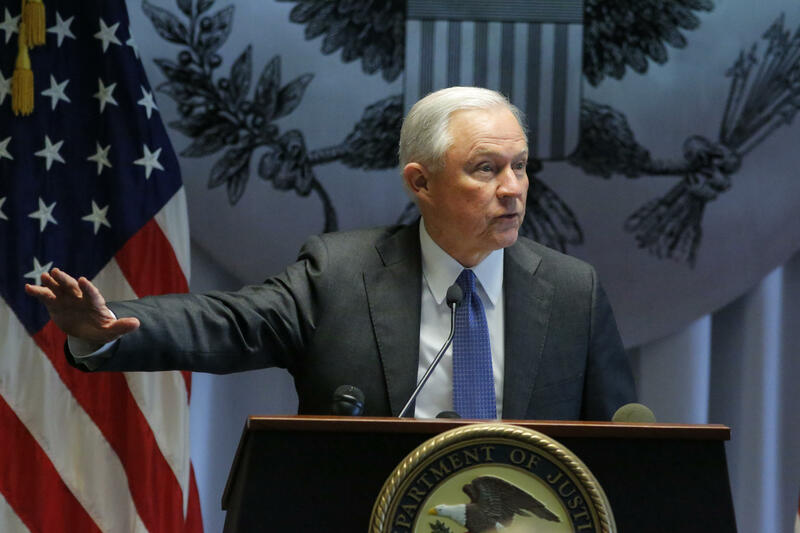 US Attorney General Jeff Sessions speaks to federal, state and local law enforcement about efforts to combat violent crime and restore public safety on April 28, 2017 in Central Islip, New York. Attorney General Jeff Sessions plans to go after drug crimes more aggressively. But he’s getting pushback from government attorneys. What happens when prosecutors take a stand against what they see as injustice within the Justice Department? Copyright 2017 WAMU-FM. To see more, visit WAMU-FM.